Summer break is quickly approaching. For kids (and hopefully grownups too), summer means fun. The hard part is a lot of these fun summer things either cost a lot or, all the small things add up and before you know you could have bought a new car (or at least it seems that way). This doesn’t have to be the case though. There are plenty of summer bucket list ideas that you can do with your kids for FREE! Have a picnic: You don’t even have to drive anywhere to do this one. Just put a blanket out in the yard and enjoy lunch or dinner. If the weather isn’t cooperating, bring the blanket into the living room and have an indoor picnic. Hang out at the Library: Spending anywhere from a few hours to a whole day at the library can be lots of fun. Of course, you will find a bunch of books but, many libraries have kid sections with activities for the younger ones. Areas like these entertain my kids for hours in between reading the random books they pull off the shelves. Most libraries also offer a summer reading program for your kids. Scavenger Hunt: There are a couple ways you could do this. Use pieces of paper and write clues on them. Hide them around the house or the yard. Each clue leads them to their reward/treasure. Could be something as simple as extra screen time or the winner picking dinner. You could also make a list of things for your kids to find. Check out this list of 75 Printable Scavenger Hunts that may be perfect for your kids! Game Day: This is great to save for a rainy day. Take the day to play board games you already have at home. You can also ask to borrow games from friends and neighbors too. We love SkipBo and Monopoly the best! 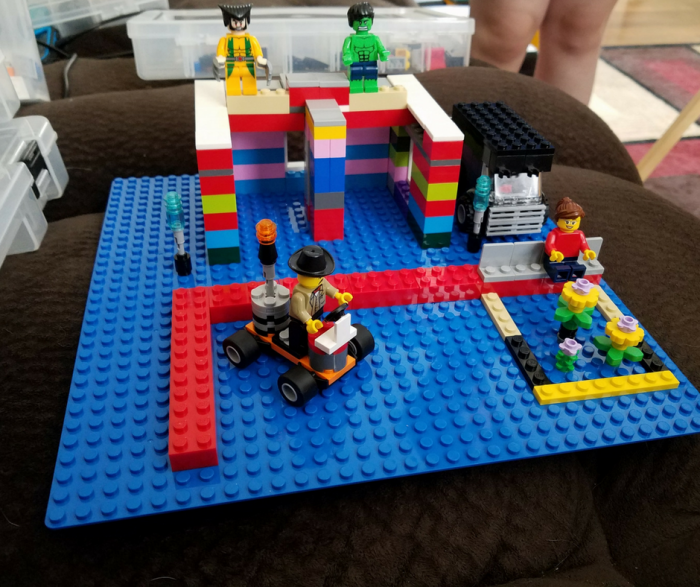 A second runner-up in our home is to play with LEGO kits and build fun things! Joke Competition: Set a timer for a specific amount of time. Each person in the house finds jokes they think will make everyone laugh (pick up some joke books while you are at the library!). After the timer goes off, each person brings their list of jokes and does their whole family laugh. The person who makes everyone laugh the most wins. Park Bingo: Print off our free Park Bingo and fill in all the parks in your area that you want to visit this summer. The goal is to have the whole board marked off by the end of summer. Movie Day: Another great rainy day activity. Spend the day watching movies you already own or, something you can borrow from friends or the library. I love using Amazon Prime for streaming movies, but you can rent, buy, or check out from the library! Walk/Bike: Go for a walk or a bike ride. Let the kids lead though. Have them decide the route you take. You can even have them make it out before you leave. Make a Movie: Collaborate with your kids. Write a script with them and then invite friends and neighbors to help make it. At the end of it, sit down with everyone and watch it. Zoos and Museums: Often times Zoos and Museums offer free admission days. Take advantage of them and go visit them. Fly a Kite: I’m sure most of you have kites sitting around the house or garage that don’t get used much. There are usually plenty of days that have enough wind to fly them so, put everything aside and spend a few hours flying the kites! We love this two-pack kites on Amazon for a great deal on quality kites that last longer than the cheap ones at the dollar stores. Dance Party: Invite friends, family, and neighbors over for a dance party. This can be held inside or outside and is sure to be lots of fun. Trivia Night: Spend a few hours gathering interesting trivia facts either from books you got at the library or, what you found online. Either do this as a family or, invite people over to have fun with you. Play in the Rain: This is my kid’s favorite thing to do. If it is warm enough outside and a semi-warm rain I’m all for them playing in the rain. They wear sandals and I meet them at the door with towels when they are done. So much fun. Get Muddy: After the rain is done, there is sure to be mud somewhere. Why not let them jump in it and get messy? 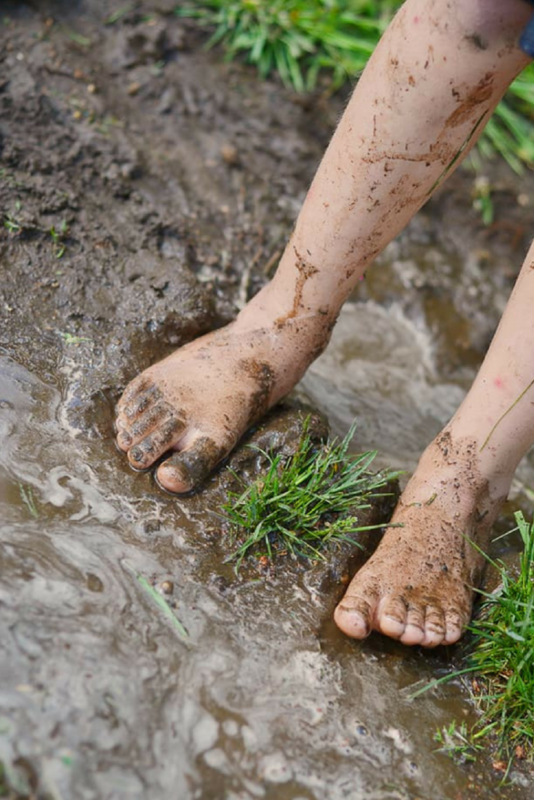 Muddy puddles are the best and occupy my kids for a long time. The smiles and memories are well worth the mess. Acts of Kindness: There are so many kind things you and your kids can do without spending any money at all. Leave nice notes for people to find, smile at someone, help someone and compliment someone are just a few ideas to get you started. Cloud Watching: When I need to slow down and enjoy the moment my kids and I will lay and watch the clouds. They love telling me all the clouds they see and trying to find what I see too. Cook: Let your kids join you in the kitchen and learn to cook with you. Cooking is an important skill they will need to know and who better to learn from than their own family. I love Raddish Kids as a paid subscription box that helps kids learn to cook safely! 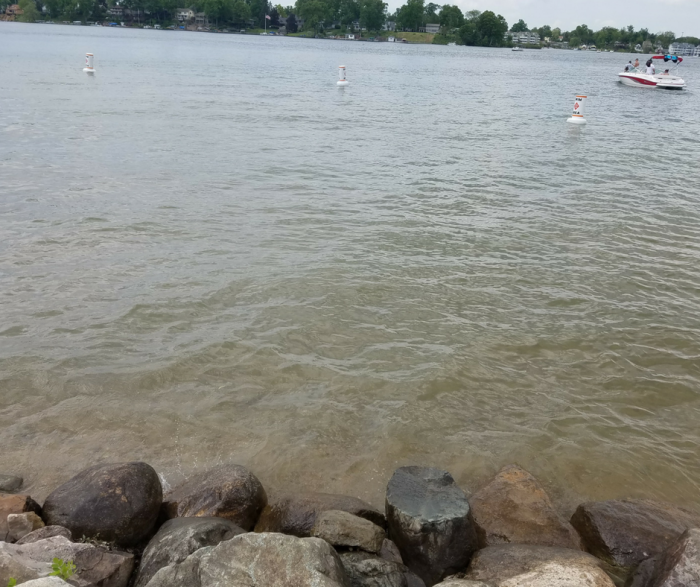 Fishing: If you don’t already have a fishing license, every state offers a few days of free fishing so you are still able to get out and enjoy it. Splash Pads: Most splash pads are free to use and it is easy to spend at least a few hours there. Bowling: Kids Bowl Free partners with several bowling alleys locations all over the US. By signing your kids up for the program they will get two free bowling games a DAY at a participating location near you. It should be mentioned that shoe rental is extra. Geocaching: This one may be best to be done with older kids but, it is super fun. All you need is an app or GPS device where you can enter coordinates and you are ready to go. Pajama Day: There is honestly nothing better than lounging around the house in your pajamas all day every once in a while. No set plans, just relaxing. Have a nice hot breakfast and see where the day takes you. There really is nothing better than spending time with your kids. These are all fun and free ways to have a good time with them and make a whole bunch of new memories that they will never forget. So, unplug and have a great time with your kids! Mowing the lawn is a right of passage for many a teenage boy. At least it was back in the day. Now, I find more and more kids don’t ever learn to mow the lawn. Whether you want your kids to learn to help them become more responsible, or they want to learn to earn a bit of extra money, I have a few safety tips for while they are learning. Okay, I confess. I am guilty as charged. I am 33 years old and I have never used a lawnmower or a weedeater. I do not do the outside thing. I am spoiled. Between always having a man in my life who enjoyed doing it, and just hating the idea of lawn care, I manage to have never actually had to actually be the one mowing the lawn. I would if I needed to, I just haven’t had a need up to this point in my life. Now that I have confessed my status as a spoiled woman, let’s move on to the fact that the Wee Child has been begging to mow the lawn for years. He has actively been watching his Daddy mowing the lawn, and even helped with picking up sticks and rocks. He just wasn’t big enough to handle the job himself. This year, that changed. 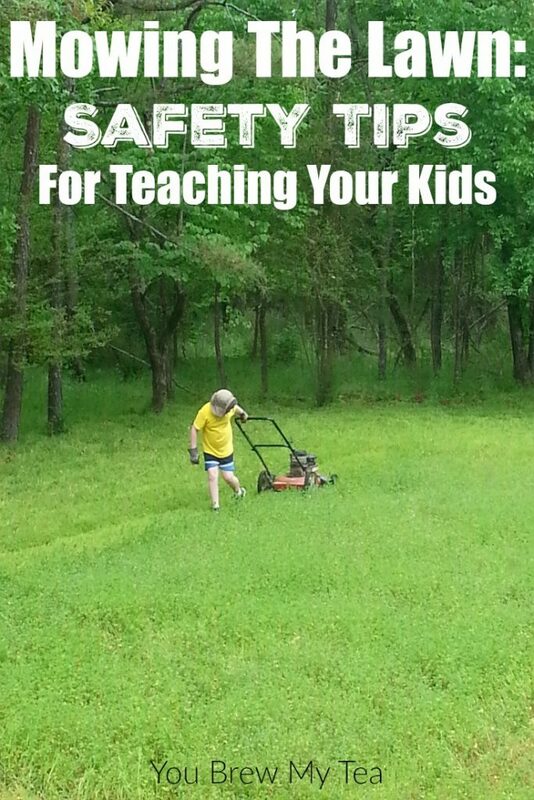 As a result, I have a few safety tips for you to use in teaching your kids about mowing the lawn. Wait until they are physically able to handle the job. Many young children will follow along in your footsteps wanting to help. The reality is that lawn mowers and weedeaters are both dangerous tools around anyone, let alone a child. A 3-4-year-old boy can help pick up sticks or rocks in the yard, but is simply not strong enough to handle the lawn mower. Use your brain, and wait until your kids are actually big enough to really begin mowing the lawn. The Wee Child has been “helping” for the last 5 years. He is almost 9 years old, and a bit big for his age. He is now taller than our push lawnmower, and he is easily able to push and pull it without assistance. He is, in my opinion, still not old enough to handle a weedeater or a riding lawnmower or lawn tractor. This year is the first time we have let him actually take a turn at mowing the lawn by himself. That said, he isn’t out there doing this by himself, which leads us to the next important point on our safety tips list. Don’t leave them without supervision. Age is a big factor in this, but an 8-12-year-old boy or girl will most likely still need pretty close supervision while handling lawn care. This doesn’t mean you have to stand right behind them, but you should be within a few easy steps to help should they run into trouble. As you can see in the picture above, the Wee Child was using our push mower by himself. However, just a few feet off the picture was his Daddy watching and ready to take over or step in at a seconds notice. A teenager is a different situation, but even then, they will likely need a few practice rounds before you feel comfortable with them mowing the lawn without supervision. Dress them appropriately for the job. I admit, we didn’t do the best job on this in the above picture. I wasn’t expecting him to help more than his usual basic clean up around the yard. Next time, I will be making sure he is wearing better gear for the job. While it is hot in the summer months, and shorts are often the go-to clothing for outside work. It is also important to think about protecting their legs while mowing the lawn. I recommend sturdy boots or work shoes, long lightweight pants, and even a long sleeved lightweight shirt to cover their arms. If nothing else, make sure they are wearing bug spray and sunscreen. Don’t let your lawn get too tall. One of the bigger safety tips to consider when teaching your kids about mowing the lawn is to make sure you keep up with it regularly. The reason behind this in my area of the country is that snakes are more likely to be lurking in the taller grass. While there are many snakes that are perfectly safe and not venomous, we live where rattlesnakes are more common than I would like. Keeping up with the lawn care on a regular basis keeps everyone safer. Pick up the lawn before beginning to mow. One thing that you learn fast is that when a lawn mower hits a rock, it can shoot up and hit you leaving a very painful bruise or even break. It is very important when teaching your kids about mowing the lawn to focus on the simple prep work involved which includes walking the area you will be mowing to remove any rocks, sticks, debris, and yes, even the yucky dog poop that may be hidden. Teach them respect for the lawn care equipment. Just because there are caps, safety panels, and such covering the blades of the lawn mower, your children still need to learn to respect the equipment. The number of injuries caused each year in knowledgeable adults is enough to remind you that your child should be told that the sharp edges of blades are to something to mess with when working outdoors. 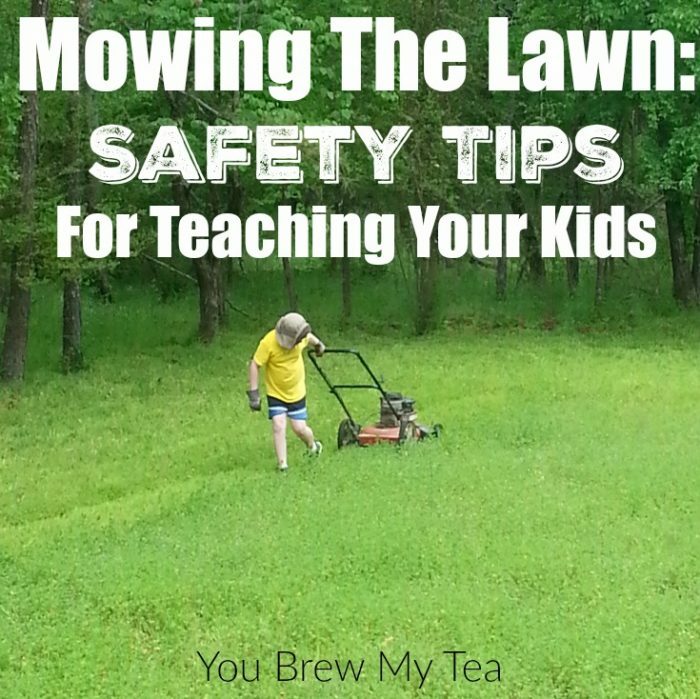 If you think this is the summer when you finally begin really teaching your kids about mowing the lawn, these safety tips are worth consideration. Even the strongest and most responsible kids still need some supervision from mom and dad when first taking on big chores like mowing the lawn. 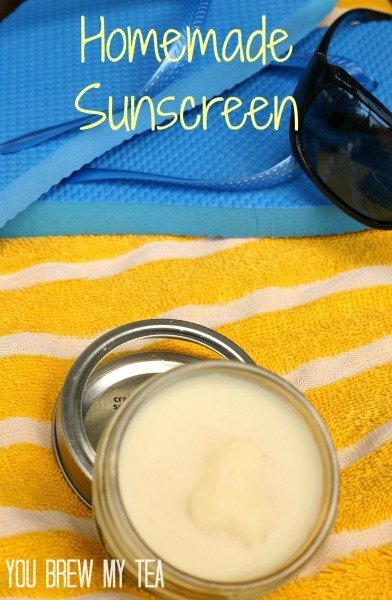 It is officially warming up for summer and this Homemade Sunscreen is a must in our beach bags! It is only going to get sunnier and therefore hotter from here on out. But we will be outdoors anyway, right? Gardening, at the beach, park, and everywhere else especially if you have active kids. 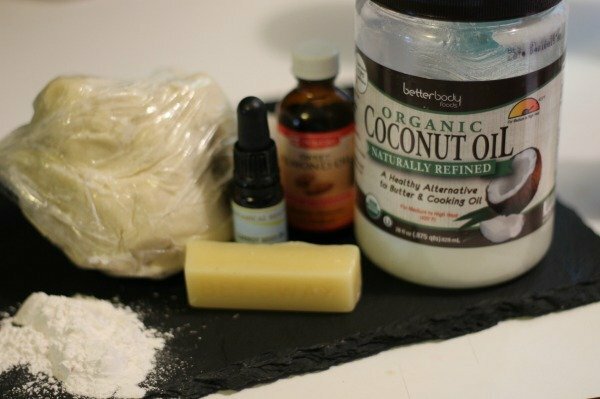 We have always used sunscreen, but with my attempts to convert my household cleaners and beauty products into more natural and safer products by making them myself, I thought surely sunscreen should be one of them? Controlling your ingredients and their quality is the number one way to make sure that it is safe for your skin. Besides protecting your skin from the suns damaging rays these ingredients nourish, heal, and soften your skin leaving it better than before. To make the healthiest and safest sunscreen use organic whenever possible. Melt beeswax, shea butter, and coconut oil in a microwave safe dish in 30 second increments, stirring each time until smooth and melted. Stir in zinc powder. Allow mixture to cool for 5 to 10 minutes then add carrot seed oil, almond oil, and essential oils if using any. Transfer to a small airtight container- I use a 4 oz. mason jar. It also smells heavenly! Add 15-20 drops of your favorite essential oil(s) to put it over the top. While we have tried this and feel completely safe using it, you should be very careful when exposing your skin to the sunlight. We need sun for healthy Vitamin D, but UV rays can cause damage that leads to many forms of skin cancer. As a precaution, make sure you watch closely for signs of sunburn and reapply regularly. Sunburn is truly killing the cells of skin and can damage the underlying layers which later could result in cancer. As a responsible parent, you should always make sure to use the best ingredients on your children. 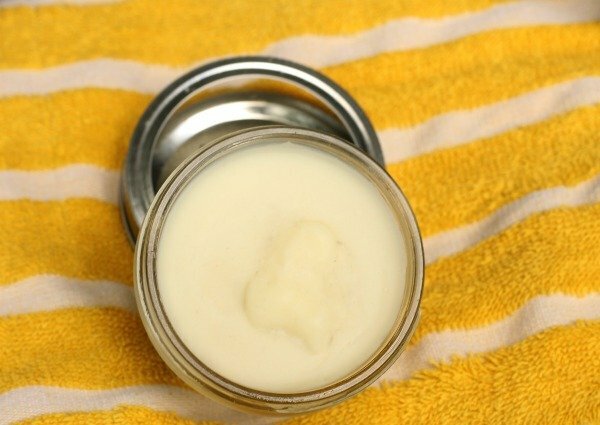 This is a naturally high SPF homemade sunscreen that should be perfect for your family to use on a regular basis this summer. 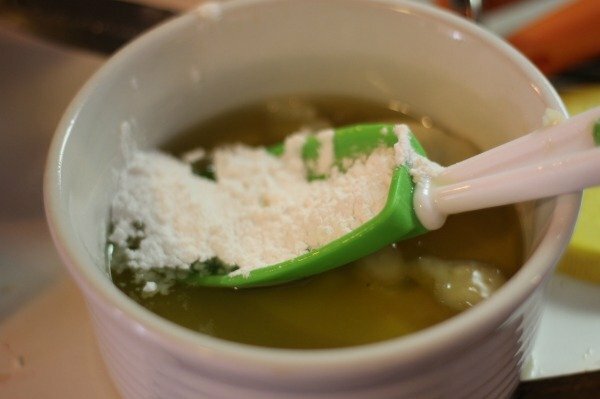 Make double batches of this great homemade sunscreen to keep at home, in your beach bag or to even give to friends and neighbors this year. 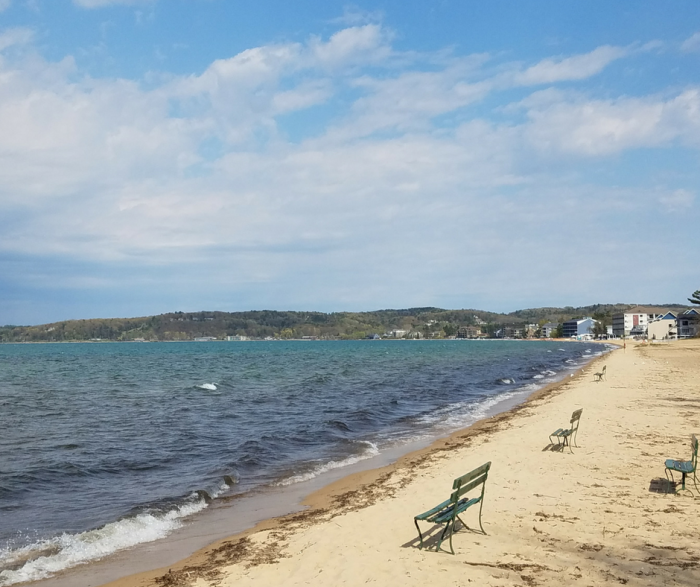 If you are looking for more summer tips, check out some of our popular summer activity and safety tip posts listed below! 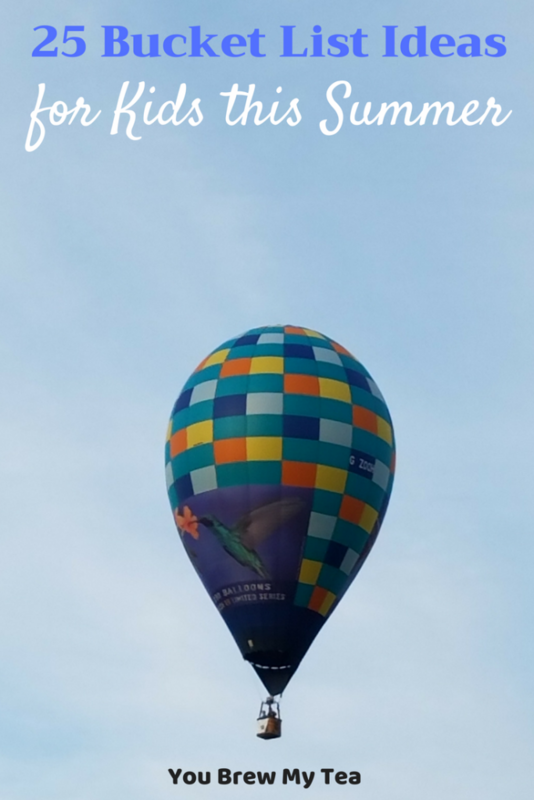 Summer is upon us and that means the homeschooling life changes a little bit. We all want to enjoy the outdoors a little more, which is why we want to make homeschooling easy, fun, and flexible. Check out some of these easy summer homeschool ideas. More unschool and life experience than education, they still give us a chance to teach our kids and make the most of these fun summer months. Set aside time to get active with your kids and learn a few new things that aren’t traditional to their regular school curriculum this summer. I don’t think there is anywhere that’s easier to homeschool than at the park. You could do a quick lesson outside and then enjoy the park the rest of the day. You could also incorporate learning into your play. Hiking, walking, and observing can all be made into a homeschooling lesson. Create a scavenger hunt for your kids to find fun outdoor items like rocks, a leaf, sticks, pinecones or even worms in the dirt. Great chances to learn about your area, and nature in general abound at a local park. Yes, gardening is a great way to make homeschooling easy and fun this summer. One of our favorite things is to watch what is happening in the garden. All sorts of wildlife loves to hang out around the garden and we sit there and watch it. You can also count planting, watering, and watching plants grow as an easy summer homeschool lesson. Start with planting seedlings and learning about how seeds germinate. Continue with learning how to care for plants as they grow, as well as how to make sure you harvest at the right times. 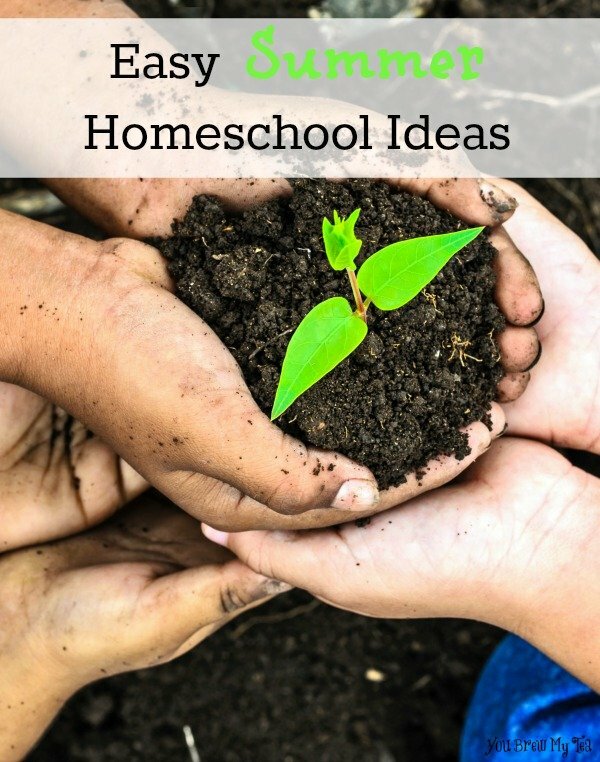 There is a ton of summer homeschool ideas in gardening that you can take advantage of while having fun. Let’s face it, some of those summer days get extremely hot, which is why water is the perfect summer homeschool idea. You can play in it, measure it, freeze/unfreeze it and just have a ball with it. 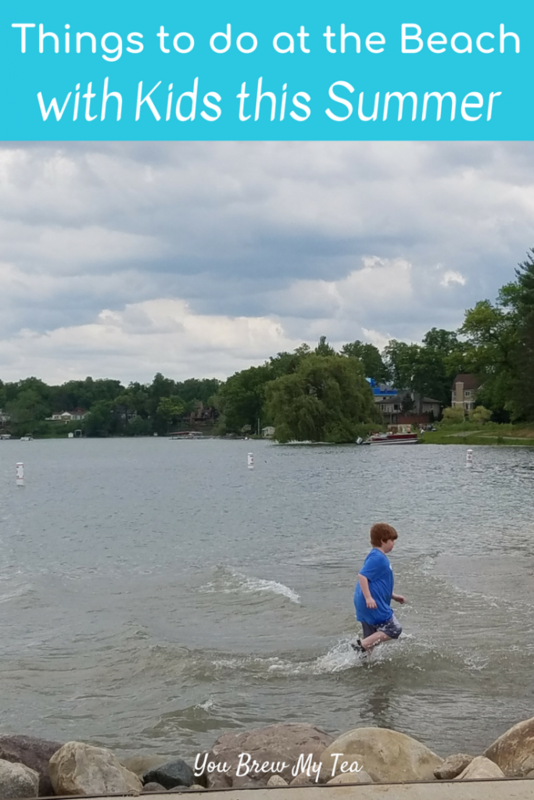 Water sports are always a great part of homeschooling, but especially when you want a simple life lesson without the books and paper. 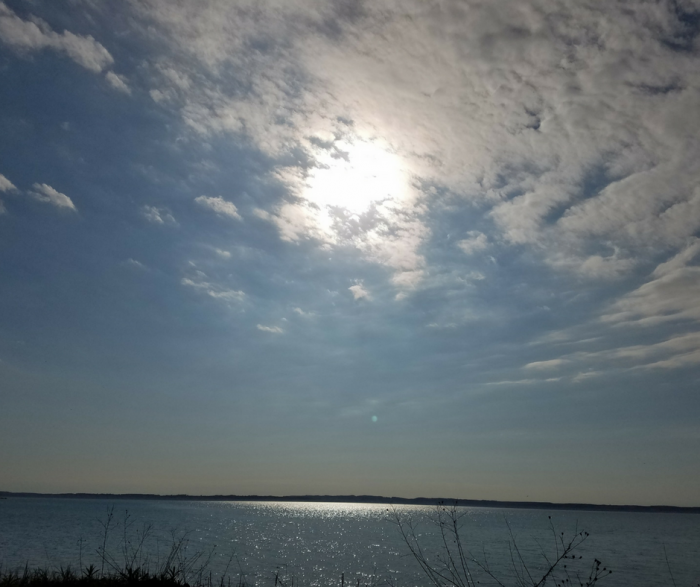 Teaching about boiling points, types of water in ponds, lakes, oceans and rivers as well as sea life are all great ways to use this for a fun homeschool or unschool lesson this summer. Did I just say cooking? Yes! Let your little ones and big ones help you with cooking this summer. There’s so much to be learned when it comes to cooking a variety of summer foods. Incorporating foods from the garden is a bonus! Measuring, cutting, and following directions are just a few things your children will learn while helping you cook this summer. Board games are a very fun and practical way to homeschool this summer. Thinking skills are a large part of board games and a great way to keep your child’s mind moving this summer. Try various garage sales to find a variety of board games to keep “learning” fun and easy this summer. Games are a great way to pull your family together for family time as well! Not only will they help you to teach kids colors, numbers, counting and critical thinking – they can become a fun routine your whole family enjoys as downtime together. Check out some of our other favorite homeshcooling ideas!